As the title says this is the first ever PC I've built. My goal for this build was to make something that can handle games at max or at min. very high settings. I also wanted to be able to play games in 4k and get around 60fps or more if I chose to. So far in my testing I was able to do that without any issues. I was not too concern with Ascetics but I wanted to do a blue and black theme. 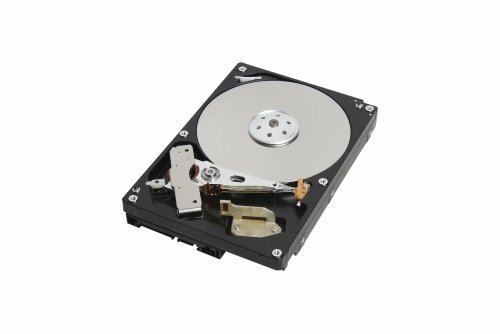 I chose these parts with two goals in mind; one to somewhat future proof my build for a while and two I wanted to save money where I could with the understanding that I could upgrade or swap out certain things later if I decided to. My budget was 2k not including the monitor. Overall I am very satisfied with this set up no real complaints about anything. I will add monitors, but atm I am waiting on Asus and Acers's 4K 144Hz monitors. For the time being I am using my Samsung KS8000 4k HDR TV with 120Hz but due to using HDMI I am locked at 60Hz. UPDATE 1/13/2018 Hope everyone enjoyed all the holiday festivities! Changed the build slightly and CES showed some very promising monitor options for me so that should be coming soon. For now though I changed the CPU cooler from the Hyper Evo 212 to an H115i. I added a monitor and set of speakers to fully enjoy my PC and move away from using my television. 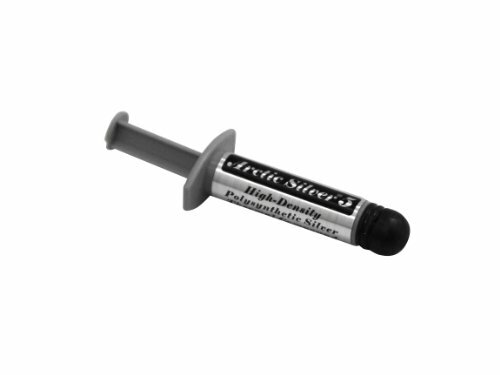 Reviews added or updated below! Well this very quickly went from a budget 4k build (if such a thing even exist) to something else entirely. I have to say PC building and customizing is addictive. It's like no matter what you have your never truly done...reminds me of the car scene. Anyway since my last update I have added a Asus 24' 144Hz 1080p monitor which I was gaming primary on before deciding i wanted to upgrade to an ultra wide...now I am using the new Alienware AW3418DW 34' beast of a monitor with 1440p and 120Hz. All I can say is I will never go back to a regular monitor! I love this thing! Other then that the only other thing I've added is a 2tb seagate hybrid HDD for my games only. This PC can run and handle anything I throw at it and I could not be happier! 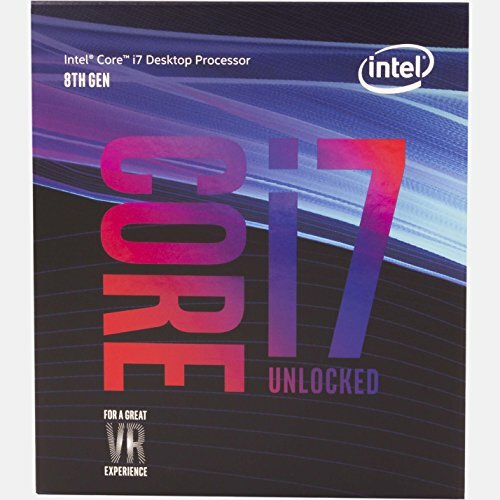 i7 8700k -I chose to go with the new 8th gen processors as I stated before I wanted to not have to upgrade for sometime. So far I am not disappointed in my choice to go with this chip. No complaints, and only one issue that I was able to resolve (we'll talk about that later). UPDATE 12/4/2017 this chip and the i700k from what I'm starting to understand run on the warmer side. However, I haven't had any real issues with it but Temps spiked really high when I attempted to oc it to 4.8GHz so I've since reduced to 4.4GHz and it has not been a problem. I will look to upgrade to an AIO system in the near future. 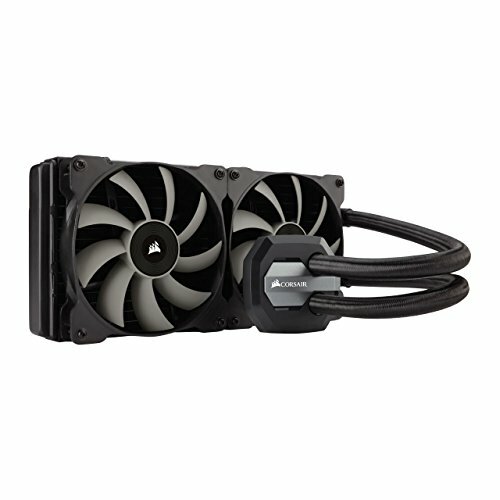 4.5/5 Stars Corsair H115i - Easy to install , and keeps my temps under or right around 60c under-load. Since adding this cooler I am now able to obtain a stable overclock at 4.9GHz. I like the option to manage the AIO pump speed and Fans through software although I really only set it once and have not had a need to use it again. The software also allows you to change the lighting on the AIO to match any theme you have going on in your case. 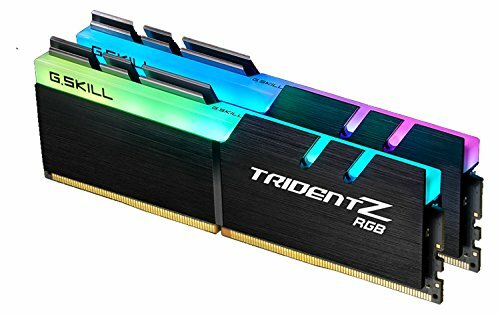 G.Skill Trident Z RGB 16GB DDR4-3200 - I originally purchased Corsair Vengeance Blue LED cards. However, I started having issues with my system crashing and rebooting. A few hours later I kept getting BSOD with error codes related to memory. The weird thing was if I tested the memory through Bios it checked out just fine. However, if I tested in windows diagnostics it came back with hardware errors. I tested each card separately with same results. So, I swapped to this RAM and as of writing this I have not had any of these issues. I also found doing a quick google search that people were having issues with those Corsair cards and the Ripjaw V series cards on these new 8th Gen chips. 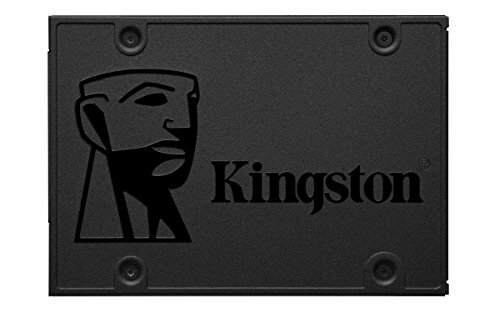 Kingston A400 120GB SSD - I intended to use this as the Drive for my Hackintosh however I was not able to get Mac OS to boot during install I believe there is an issue with the 8th gen chips. If anyone can provide any insight on this, I would greatly appreciate it. MSI GeForce GTX 1080 Ti 11GB AERO OC - This card has exceeded my expectations. I originally purchased it because it was one of the cheaper 1080 ti cards I could find. However, I bought it with the prenotion of maybe having to swap it for another higher priced 1080ti. Temps for this card has not exceeded 75-76c and it has been able to handle any games I throw at it with the highest or next to highest settings. In 4k I maintain 56-60 Fps and the game is pretty smooth. * UPDATE I ended up returning the Msi Aero 1080ti not that there was anything wrong with it but a better card went on sale and Micro Center had only one in stock. So i swapped it for the Asus Geforce Gtx 1080 Ti which also happens to have Asus Aura lighting! Thermaltake View 31 TG RGB - I love the design of this case and there are plenty of places to route the excess cords. 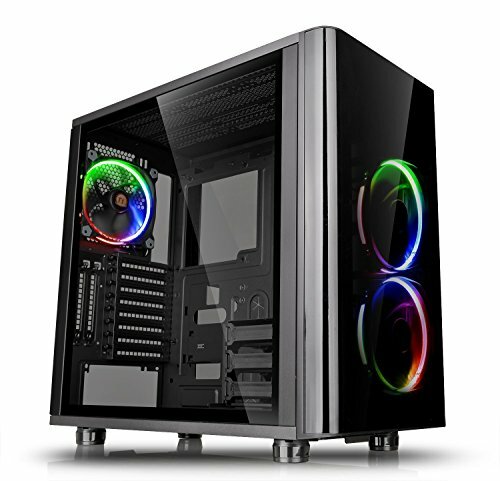 My only complaint is i don't think it is optimal for air cooling as there are a lot of open areas so not really a way to create any positive or negative pressure. That being said though so I have not had any extreme heat issues. UPDATE v2 * As I mentioned before the included case fans died! At first the RBG lights stopped working and then they all together stopped spinning. I ended up buying 4 more fans 3 120mm and a 140mm fan. Case is nice and cool now! SeaSonic FOCUS Plus Gold 850W 80+ - I was recommended this product by another member after purchasing the EVGA GQ 750W psu. It went on sale for 5 dollars more then I paid for the 750 so I jumped on it immediately. 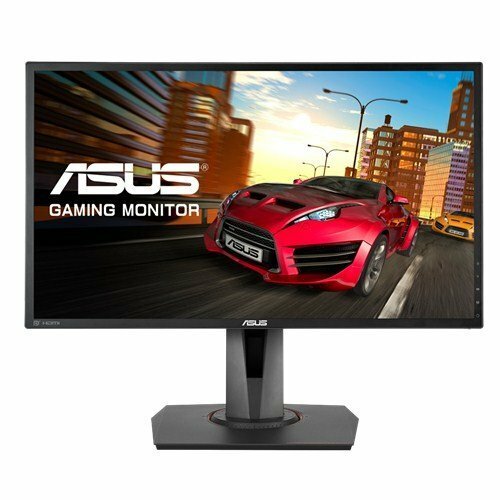 Great monitor but out of the box the colors are terrible, and the menus are horrendous. Often times I would change a setting and set to a specific mode only for it to switch back. I honestly was about to return it until I found a calibration profile online that made this monitor look leaps and bounds better. The built in speakers are useless, don't bother with them! Overall after calibrations its a really good monitor for the price and the high refresh rate makes it even more bearable. Very powerful little speakers! I love them! UPDATE Case fans are terrible....after 2 days of use the RBG lighting will not stay on and in some instances the fans themselves stop and start on their own. the other fans that i added which are CORSAIR AF120 BLUE LED FANs are working just fine. 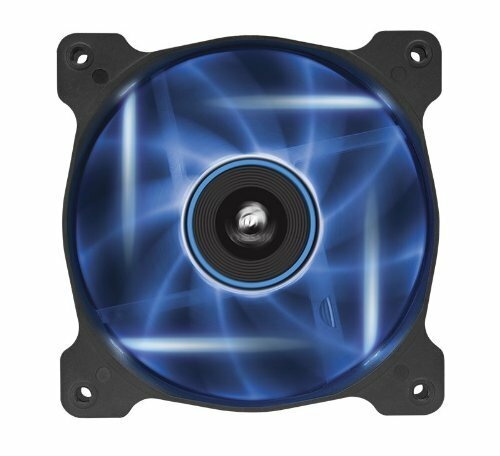 If anyone has any recommendations for other RGB fans that work with Aura please let me know! Nice write up and decision making. I was looking at the Prime-A board for my build, but decided to go with the E-Gaming for the front USB 3.1 hub. Sounds like it's worked out well for you. 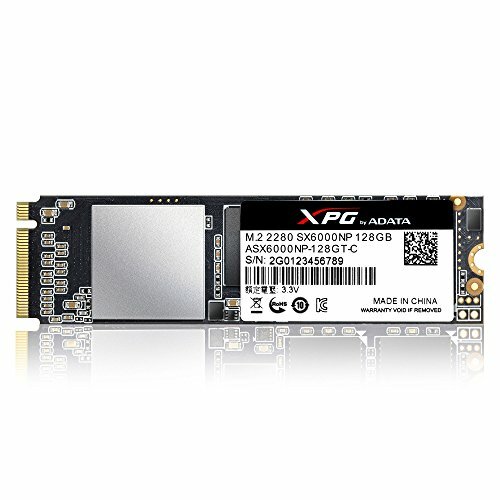 I have USB 3.1 with this one as well, does your board have Wi-Fi? mine does not that was the only drawback I saw with the Z370-a. I preferred a hard line connection anyway though so it wasn't that big of a deal. The E-gaming did come with a wifi connection, but it wasn't a selling point for me. Newegg had it on a Black Friday sale, so it really was paying $25 more for a front USB connection and a better sound quality. HI Blacksoul, nice build :) but only 70 c under load with that cooler? Its really low I think. CPU has stock speeds right? yea right now everything is at stock speeds I wanted to use it all at stock before I OC'd anything. i bought AC syndicate because it was on sale and still about 70 c i think I saw 71c in Afterburner but yea it is doing an excellent job at cooling the cpu!